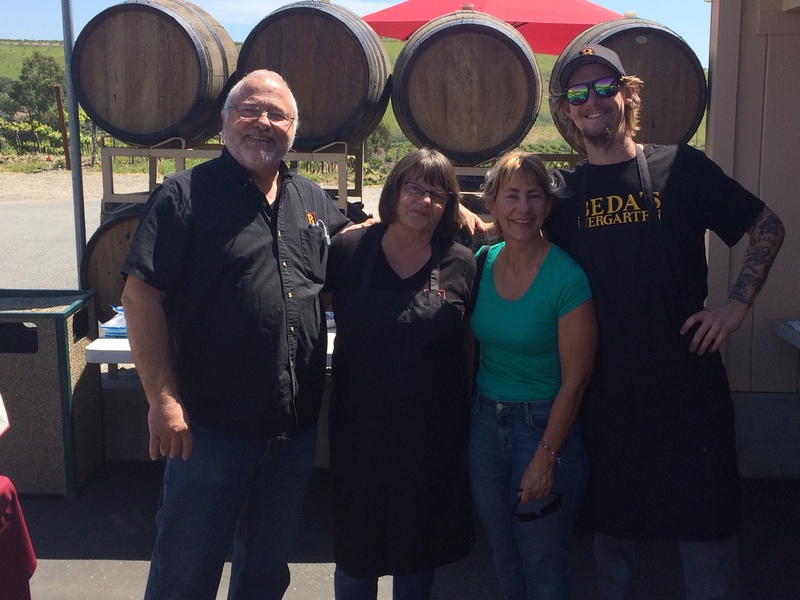 If the success of the recent SpringFest is any indication, more delicious collaboration between Beda’s Biergarten and Wolff Vineyards awaits us. 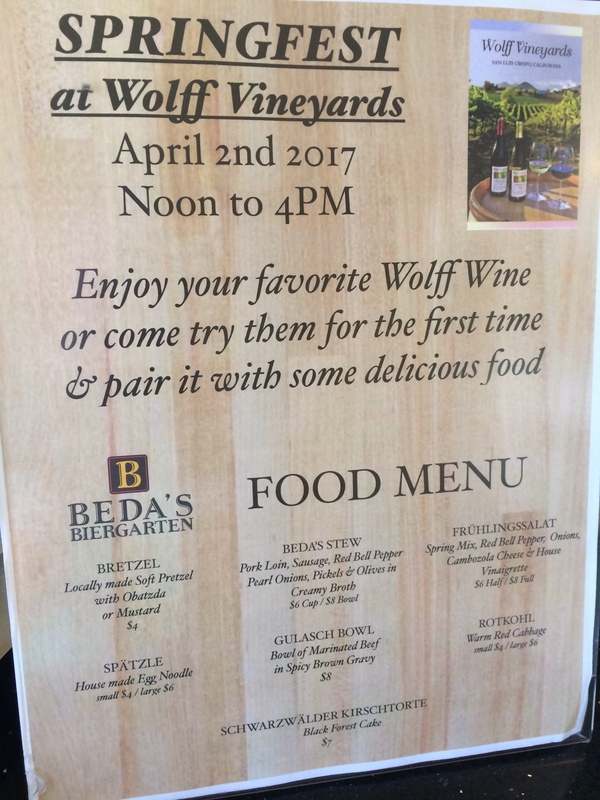 On April 2, Wolff Vineyards and Beda’s Biergarten paired up for pairings of a deliciously different sort at SpringFest 2017. Goulasch, Beda’s Stew, and Spätzle paired well with winemaker Jean-Pierre Wolff’s top-notch Chardonnay, Dry Alsatian Style Reisling, Pinot Noir, Syrah, and Red Wolff blend. Before I sat down with a bowl of just-right spicy and flavorful Gulasch (gluten-free, by the way), I stopped in the tasting room and surveyed the wine list. 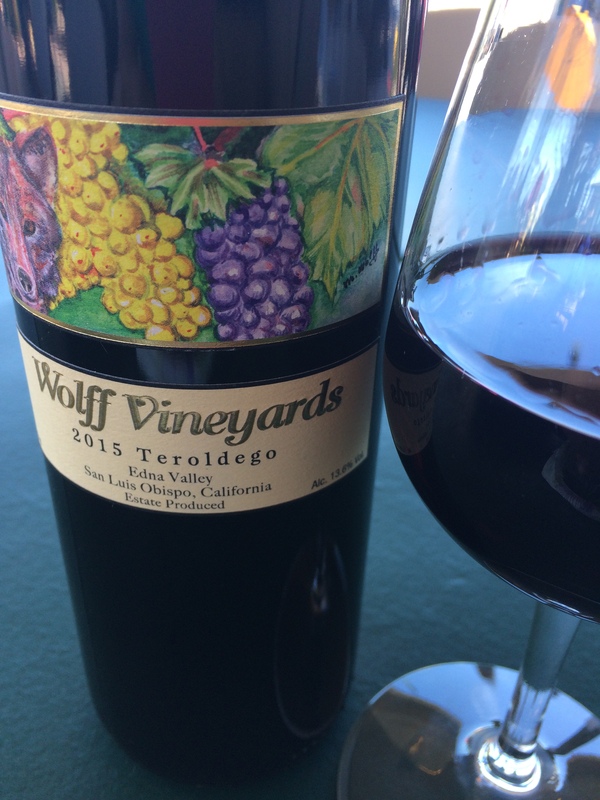 For two years, I’d been wanting to try the elusive Wolff Vineyards’ Teroldego. And every time, it was sold out. But today? The grape gods were smiling. Mark Wolff, Assistant Winemaker, poured me a deep ruby glass of Teroldego and rang up my purchase of a bottle. Flavor Team Member Kara with Helga and Beda Schmidthues and Johnnie from Beda’s Biergarten. As I sat down at the green table in the cool shade of the awning, I smiled and gave a silent Prost! To a life filled with great flavors: new experiences, uplifting people, good health. And to finally meeting Teroldego. After two years, would it be worth the wait? And that, dear Flavor Tribe, is a story for another time…. Where is your life’s treasure map taking you? We want to know! If you like this post, please click the Share button to share it with your Facebook friends, and leave a comment here. We’d love to hear where your next adventure is leading.